View from our living room out onto garden deck. This story might end with you falling asleep, but it will be completely intentional. How? Allow me to show you the little things that make me happy on a rainy Sunday afternoon, when the wind buffets the trees outside and the rain spatters at the windows. You'll be warm and cozy inside your house, a cup of coffee in hand and a book in your lap, because that is what we do in the northwest in the fall and winter, and it's bliss. RealIy, I pinch myself to live where I do. The northwest region of the US is my biggest love in life. The evergreen trees, rocky beaches, gray skies and moss-lined forest trails are what I dream about, even as I live here! Add to that the book-loving, coffee and beer-drinking, bread-baking intelligentsia (a stereotype that is true about this place), and you've named my people, not just my community. I am a North-westerner through and through. On the home front, I'm so in love with this place that I don't decorate to make my own house someplace else. I mean it isn't decorated as if I'd rather be on some far-flung trip; nope, it's as Northwest as you can get, right here. My ideal living environment is something I've rummaged from fond memories of University of Washington faculty houses I visited frequently as a kid. U of W professors seemed all to live in these mid-century modern homes (then called northwest contemporary) filled with books and leather furniture and draped in northwest coast art, animal skins (one of the professors was a well-known sea otter authority), and textiles. This specific 1970s-Seattle-university-professors' home is the look I am going for. So where am I going with this? Today I'm sharing a few shots close to home, specifically--IN my home--and the little things that bring both pride of place and ideas for articles and blog posts. Because while I love exploring the region and meeting people as part of my job, I'm just as jazzed by the quiet of the space and the stories behind the things in my own house. Take, for instance, the above photo of our covered deck, which sits mid-canopy in the surrounding trees, built off the main level of our house. Perched as we are above our sloped back yard with trees and shrubs all around, the deck was the place I thought of my very first published story on backyard birding with kids. In fact, the photo for this story shows the deck rails behind my son, who is chewing on his binocs when he should be looking through them! He can be forgiven; he was two at the time of that photo. And then, of course, the birds. You may have noticed I have a thing for wild birds. 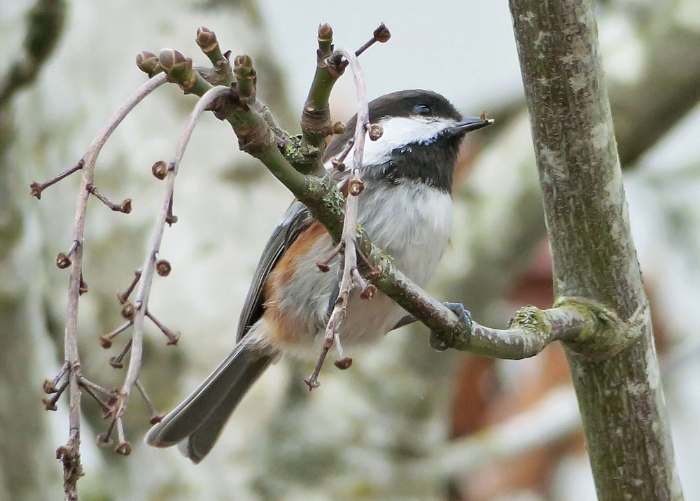 We host chickadees, juncos, crows, towhees, song sparrows, northern flickers, crows, robins, varied thrush and the occasional warbler or grosbeak, along with the Coopers Hawks and merlins that predate these yard birds. They are all welcome in our yard. Below are a few photos of the most commonly seen. These little (and not so little!) feathered neighbors of ours charm me through their beauty, song, the complexity of their ecological significance, and their unifying impact among their human counterparts--by that I mean, birds bring people together. There's an innocence about birds that provides a bond among people, no matter our politics or belief system. 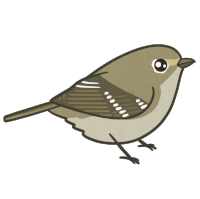 I've made connections and new friends while talking to someone across the fence, at a party or on the school run--enthusiastic bird-nerdery rubs off on people! My love for birds doesn't happen in a vacuum--it's part of my everyday. 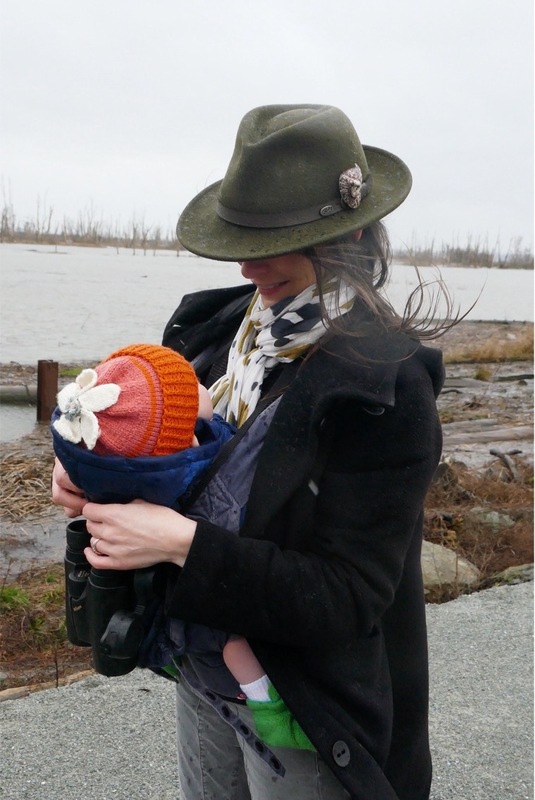 I carry binocs in my work bag; I consider weekend clothes for long bird walks; I never wear ear buds for fear of missing birdsong; and none of this seems out of the ordinary to me, or extracurricular. Birds have been there the whole time, and I have never not thought about them, I guess the way people who believe in a higher power always know it to be there. Same goes for me, with birds. Our home is small but full of features that bring the outdoors in: wood floors, doors and panels, huge windows, a high, beamed ceiling through which we can hear the rain on the roof (a sound that evokes instant coziness to me). Clerestory windows on three sides of the house allow views of just the treetops outside (and not our neighbors' houses), giving a feel to the house of being in the woods. The bones of the house are middle-class mid-century. The house was built spec in the early 50s, among a cluster on our block, all of the same era, but not all with the classic, open floor plan. Luckily, very few updates were made to the house until those we made when we bought it, so it retains the clean details of its original construction. We've decorated to honor that, adding in more of that beloved northwest academic look that I covet. The art in our home is by people we know, or who my parents knew. Much of it is along the theme of natural history, as I am second generation conservationist and birder, and inherited my parents' taste for representational depictions of nature, in particular, birds. There's the odd bone or antler amid the rocks and occasional found feather for the added touch of diversifying the textures and media. Maddeningly, light is low these days, and relying as I do on my iphone for documenting, so there's not much to show today. Imagine a wood fire warming the house, the windows steamed from the pot of soup bubbling on the stove, and the laziness of a Sunday suggesting a nap. Surrounded by trees and beloved ephemera, I could easily do that. How about you? My super casual work table, AKA living room coffee table. The chair in the background is a knock off, by the way. There you have it, the afore-mentioned leather furniture, northwest coast art, and textiles! The huge wood panels are by Bill Holm, who created it for the Seattle World's Fair. The two panels were originally part of an eight piece set which made up a giant display bentwood box. We visited Bill to ask him what the image is of, but he said it's more of a collection of iconic northwest coast graphic designs than a particular animal or story. A Francis Lee Jacques print of a deer bounding into the woods, somewhere in the northern Minnesota. Jacques was a mentor to my dad, and is known for his scratch boards and oils in this very illustrative and stylized presentation. He got his start as a diorama painter and later did magazine covers and stamps in the 1950s, all while maintaining a fine art career. I am in love with his work. This scene looks exactly like the woods near Watmaugh Bay, Lopez Island. My son's collection of rocks, driftwood and an elk antler, along side a bronze of an owl, by my dad, Tony Angell.